End of year fleet review – HubNut – celebrating the average! 2011 has been our first full year of living in Wales – and what a pleasure it has been! On paper, living so far from everywhere, with a fleet of underpowered classics that don’t like dampness is a recipe for disaster – and sure, some of the fleet are looking a bit crusty in places. However, there are no motorways nor even dual carriageways for miles around, so in fact our feeble fleet is about perfect. 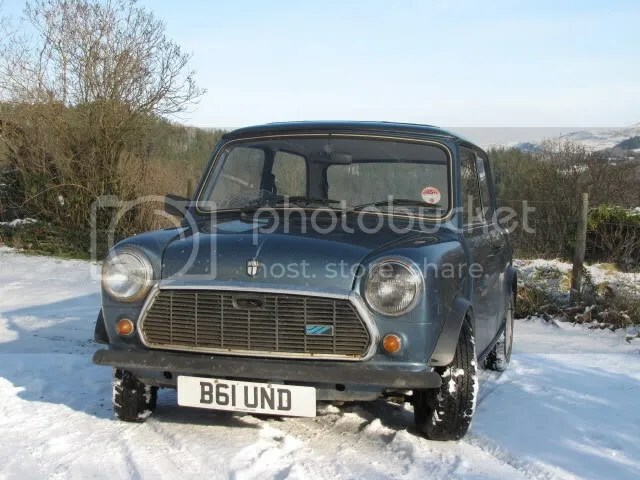 2011 started with the 2CV and Mini. Here’s the 2CV undertaking a spot of green laning. The grille muff suggests it was quite early in the year and therefore cold. The fact that it’s on a green lane and has the roof rolled back suggest the balance of my mind is disturbed. Here’s the Mini sucking up some moisture to allow it to rot further. Just before Christmas, I bought a dream car – a Land Rover 90 V8. It wasn’t quite the dream thanks to a remarkably flat V8 and a clunky transmission. Was good fun off road though and an outrageous bargain at £1600. Sold it in March for £2300. A rare profit! I sold the BX to a mate, and bought another dream car – a Reliant Scimitar GTE. With the BX gone, I decided I needed another wafty barge as I needed to be clocking up a LOT of miles over the summer. Enter the marvellous Saab. I thought the Saab was a large dose of VALUE at £595 with a brand new MOT, but attempts to sell it later in the year proved otherwise. It went for £450 though it did leave with its head held high. It had cost very little to run and was the perfect vehicle for what I needed. I also sold the Scimitar having quickly tired of the crap driving position, booming exhaust and constant dread of electrical failure/engine overheat. There was only one way to get over the dread of electrical failure/engine overheat – yes, I bought a Range Rover with the VM diesel lump! A potential disaster, but actually huge fun! Range Rover had to go as the non-working heater was becoming a bit of an issue. If I had actual money left after the BX, I might have fixed it, as I was beginning to really quite like it. Got offered a swap for this. Not a typical Ian-motor, but it didn't last long... BX already being put to use carrying ladders! Rover 75 CDT Tourer. Top spec, pretty good condition bar some clutch/gearbox issues. Again, the perfect vehicle for the moment and it clocked up 1000 miles in a matter of weeks. Money was getting very tight though and as it needed work, it had to go. The BX’s welding was not going to pay for itself. 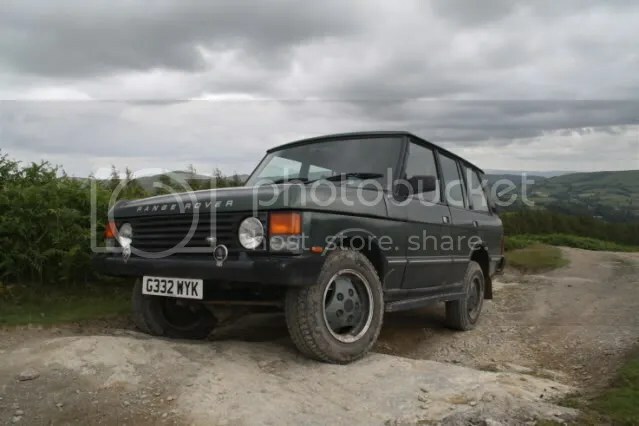 So, a little deal was arranged for Minimad5 to donate some cold, hard cash and a Peugeot 309 to tempt the Rover to the North West. I’m a sucker for basic motoring, so obviously I agreed to the deal, waving goodbye to electric everything, heated leather seats and turbocharged performance. 2011 has certainly been a colourful and action packed year on the fleet front, and believe it or not (my wife certainly doesn’t believe it!) I’m hoping that the fleet will settle down in 2012. Changing cars all the time is fun on the one hand, but stressful on the other. Anyway, I shall take this opportunity to wish you a healthy dose of festive merriment and wish you all the best for 2012.